A monster whose look could turn men to stone. 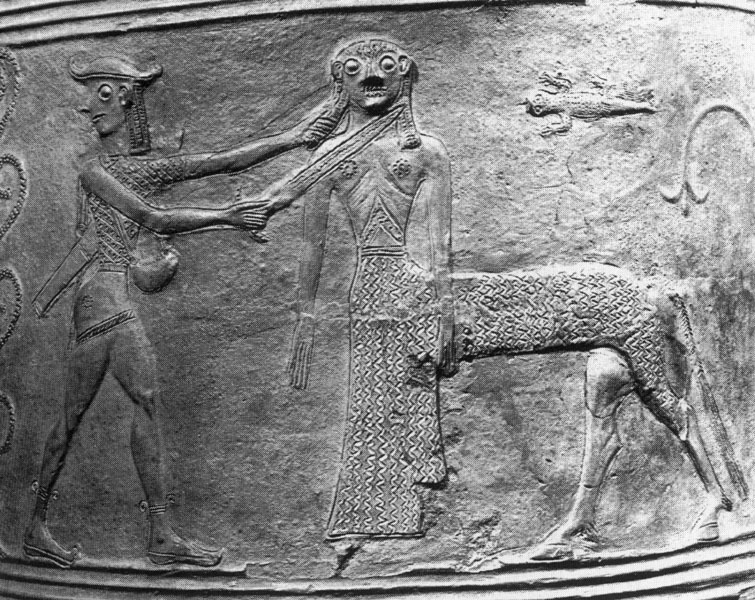 She was decapitated by the hero Perseus, and the head alone (Gorgoneion) becomes a symbol to frighten or protect. 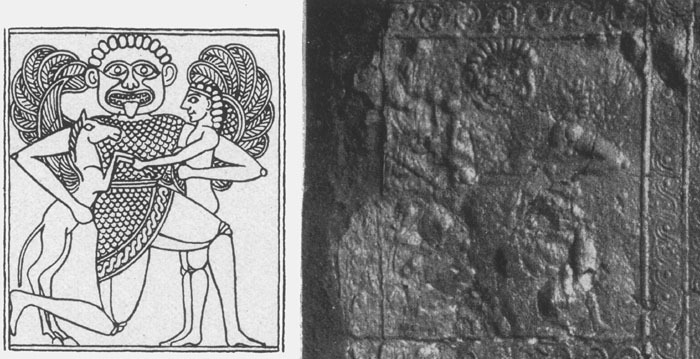 Gorgo is shown winged, with lion jaws and snakes in her hair; later, her face becomes that of a beautiful woman, but still with the snake hair. The head is often used in art in positions that reflect its power, and appears at the centre of Athena's aigis. In early art she may appear with a horse's body. She had mated with Poseidon, as a horse, and bore Pegasos and Chrysaor at the moment of her death. 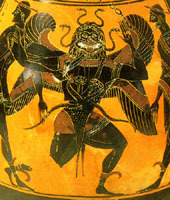 She has sisters who pursue Perseus, escaping with the Gorgo head; they are also known as Gorgons (Sthenno and Euryale).